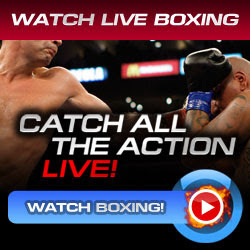 Boxing Live Updates, Boxing Updates, Boxing Sports, Sports Boxing Updates, Boxer, Boxing, Boxing Live Streaming, Boxing Watch, Boxing Highlights, Boxing Weigh-ins, Boxing News updates, Boxing Updates. Paul Williams, the former interim champion in the light middleweight division will be back in the ring on Saturday fight night. He will be fighting the middleweight rising star of Cuba Erislandy Lara on July 9, 2011 live at the Boardwalk Hall in Atlantic City, New Jersey. Williams vs Lara will be fighting a tough 12 rounds in the light middleweight division. Paul Williams known as "The Punisher" because of his fighting style, he punishes his every opponent with lot of punches. Williams is a southpaw fighter who has aimed the World Boxing Council Middleweight Title on last November, 2010 over Sergio Martinez but he was so unlucky that night. He was been KOed by Martinez in the 2nd round. He was hit by a strong left hand shot in the right chin and not able to stood again. The fight against Lara will be a comeback fight for him as he will prove again to boxing community that he's still the one called "the Punisher". Erislandy Lara is a busy fighter always. He likes to throw lot of punches in different angles and a knockout artist. Most of his fights are almost knockout victories but his recent fight against Carlos Molina took in majority decision. Lara is a southpaw fighter same as to Paul Williams but the height advantage of "The Punisher" will leads the fight. This fight for sure will be a test to Paul Williams plus he will be fighting again in the same arena where he was koed. Erislandy Lara looking a great break on his boxing career and this fight may bring him to his destination. Williams vs Lara will be held live at the Boardwalk Hall, Atlantic City, New Jersey on Saturday Night of the 9th of July. Please use our contact page. Thank You!